California has earned the reputation as being one of the best wine producers in the world – and for good reason, too. From rustic, family-run wineries tucked into chic converted barns to exciting urban wine trails where clandestine tasting rooms are hidden away in the most unexpected places, California’s viticulture is just as eclectic, varied and enticing as the state itself. With so many incredible vineyards and wineries to explore, it would be a shame to limit yourself to just one or two. So if you want to sample the wealth of fine wines that California has to offer all in one trip, consider hiring a car and taking a self-drive tour across the Golden State. Not only will you be able to sip glass after glass of pure bliss (don’t worry – there are plenty of wonderful places to stay in the state if you have a sip too many) but you’ll also get to tie in all sorts of amazing extras along the way, like taking a boat to Alcatraz or riding one of the iconic cable cars on San Francisco. Essentially synonymous with excellent wine tasting experiences, Napa Valley is right at the top of the list for almost every connoisseur. This little piece of paradise burst onto the international wine scene in 1976, when a Napa Valley Chardonnay beat 9 other Chardonnays in a blind tasting in Paris. Today the region grows from strength to strength, with some of the most coveted wine grapes found anywhere in the world grown within their vineyards. Visit during crisp spring to see the delicate grape leaves coming out of hibernation and turning the hillsides a brilliant green. 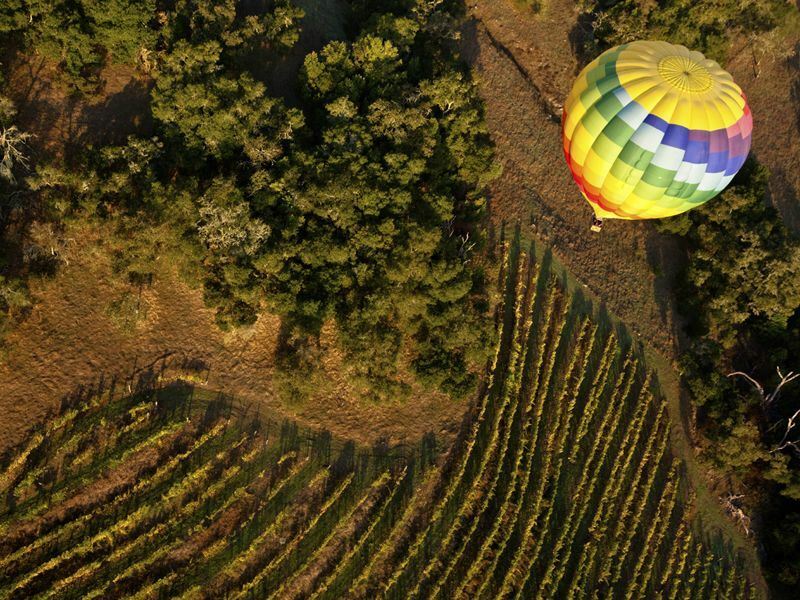 Or opt for balmy summer, when events and festivals bring the wineries and vineyards to life. Autumn is filled with excitement, starting with the all-important harvest followed by the crushing of the grapes. And winter, although a significantly more quiet and tranquil time, is perfect for snapping up hard-to-get restaurant reservations and shopping for beautiful gifts for other wine lovers. Cabernet Sauvignon and Chardonnay are the two most widely planted grapes in Napa Valley, but the region is slowly diversifying, offering wine lovers looking for something a little off-the-beaten-path a huge range of choice. From earthy Merlots and silky Pinot Noirs to rich Zinfandels and grassy Sauvignon Blancs, there are currently around 40 different varieties of grape flourishing throughout Napa Valley. Frog’s Leap Winery: A Rutherford-based winery that’s been operating for over 30 years, best known for their use of superb quality organically grown grapes and traditional winemaking techniques they use to produce some of the finest wines in Napa Valley. 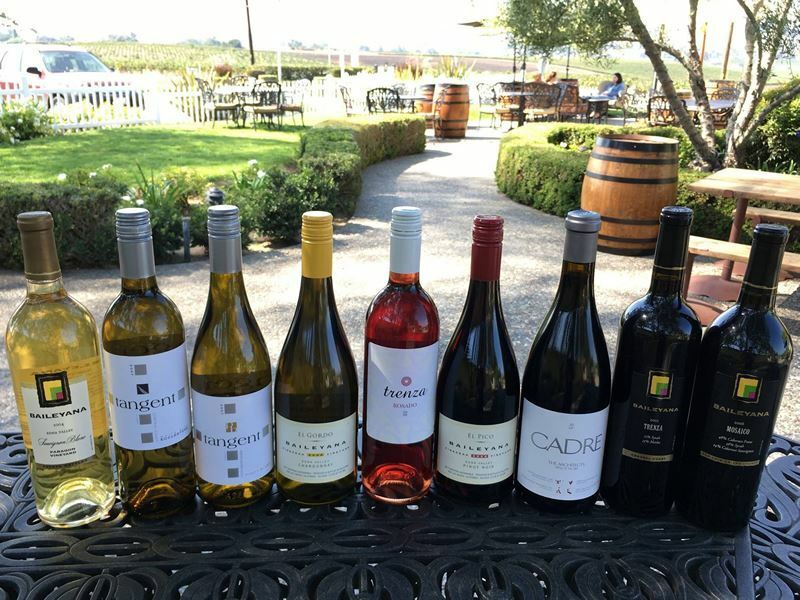 Caldwell Vineyard: Owned by John Caldwell, nicknamed as the Napa grapevine smuggler, this vineyard puts a great importance on love and family, as well as taking chances and a little mischief, to produce their incredible wine collections. Hendry Winery: Wielding a wealth of knowledge and a unique connection to the land gained from decades of harvesting, Hendry Winery boast 11 different varietals throughout their many vineyard blocks which they use to produce a stellar array of red, white and rose wines. 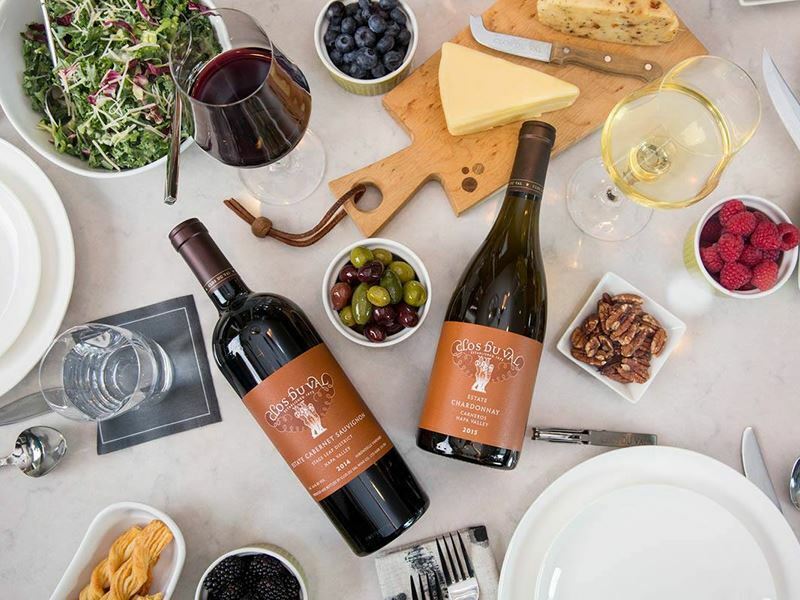 Whetstone Wine Cellars: A family owned and operated winery, Whetstone focuses on honing the traditional craft of winemaking to showcase delicious local fruit through single-vineyard, limited-production wines that marry the owners’ Southern roots with Napa’s rich heritage. Covering a huge area of more than one million acres stretching from the Pacific Ocean to the craggy Coast Range, Sonoma is becoming increasingly famous for its premium quality wines, providing Napa Valley with some serious competition for luxury cult labels and exclusively wait-list collectibles. But it’s not all top-end vintages. You’re just as likely to come across surprisingly delicious wines produced by small family-run wineries based in back gardens and tasting rooms where the winemakers themselves are the ones who top up your glass. It’s this eclectic diversity and charming intimacy that make Sonoma such a wonderful place to visit. Up until recently, the best time to visit was during summertime, when you could sip wonderfully refreshing rosés in the setting sun. But thanks to the wealth of festivals and events held all-year-round, Sonoma is a hot spot to call into any season. The cool coastal breeze and humid fog that floats over from the Pacific Ocean provide Sonoma with the ideal environment to produce stellar Chardonnays and Pinot Noirs. Bursting with tropical fruity aromas and flavours, with a light zingy acidity that makes them refreshing and easy to pair with food, these two wines are easily as delicious in Sonoma as anything you’ll find in France’s Burgundy region. Jacuzzi Family Vineyards: Launched by one of the brothers who went on to invent the famous spa bath, these vineyards specialise in growing common grape varietals, such as Cabernet Sauvignon and Chardonnay, as well as more unique varieties like Arneis, along with fantastic house-made olive oils. Cline Cellars: Specialising in Zinfandels and French Rhône-style wines, Cline Cellars invite you to experience a true Sonoma experience, through breath-taking views, wonderful people, excellent wines and even some local wildlife roaming the stunning grounds. 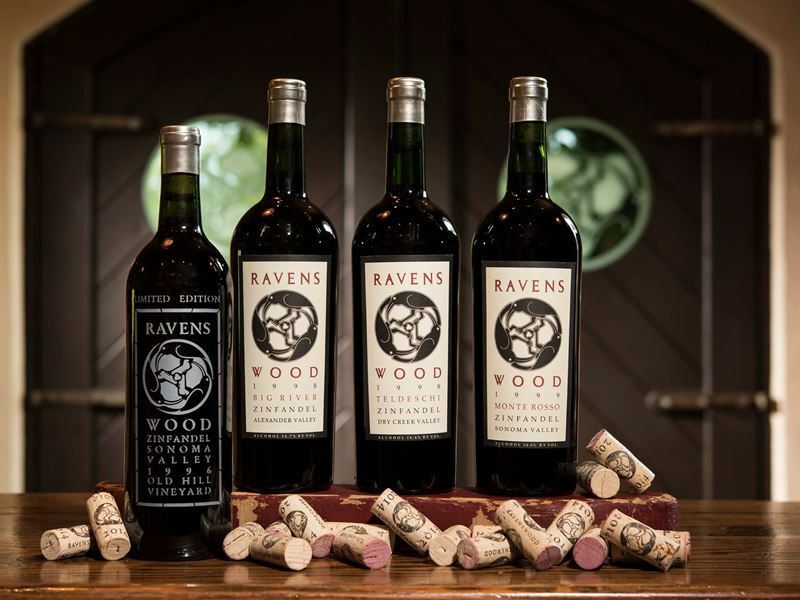 Ravenswood Winery: Known for embracing the bold and abhorring the bland, this winery goes by the motto “No Wimpy Wines” and crafts marvellous Zinfandels in the traditional Old World style, raising the bar for uncompromising wines, true to the places the grapes are grown. Buena Vista Winery: Founded way back in 1857 before California was a wine country at all, Buena Vista Winery is the state’s very first premium winery, with a vivacious, colourful and pioneering past that still inspires their award-winning wines today. 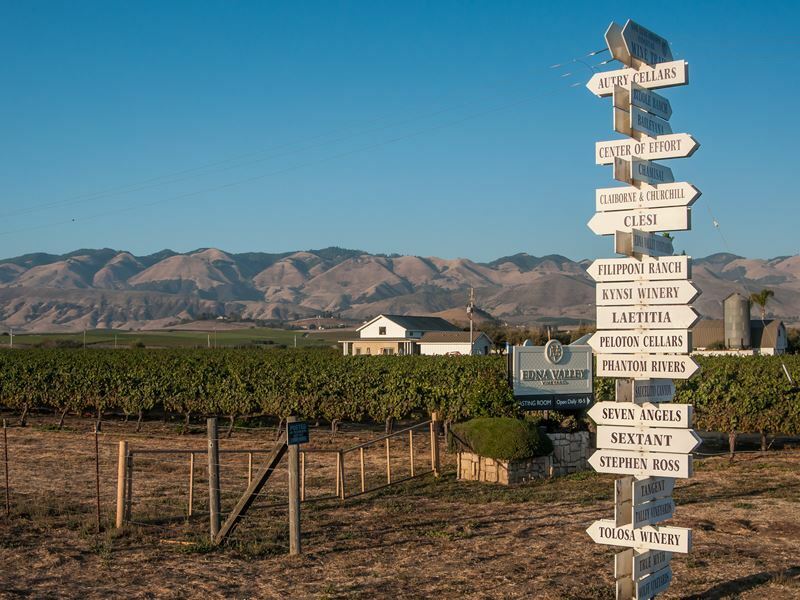 Another profoundly diverse grape-growing region, Santa Ynez offers a series of microclimates which produces a plethora of different wines, each of which is characteristic and has the tell-tale signature tastes of the place it’s grown. These individual climates also provide the landscape with everything it needs for elegant rolling hills, vines which stretch as far as the eye can see and ancient oaks that create the perfect shade for sipping wine outdoors. The result is one of the most stunning locations in California, brimming with almost any kind of wine you can think of. There’s so much going on throughout the year that there really isn’t a bad time to visit Santa Ynez. 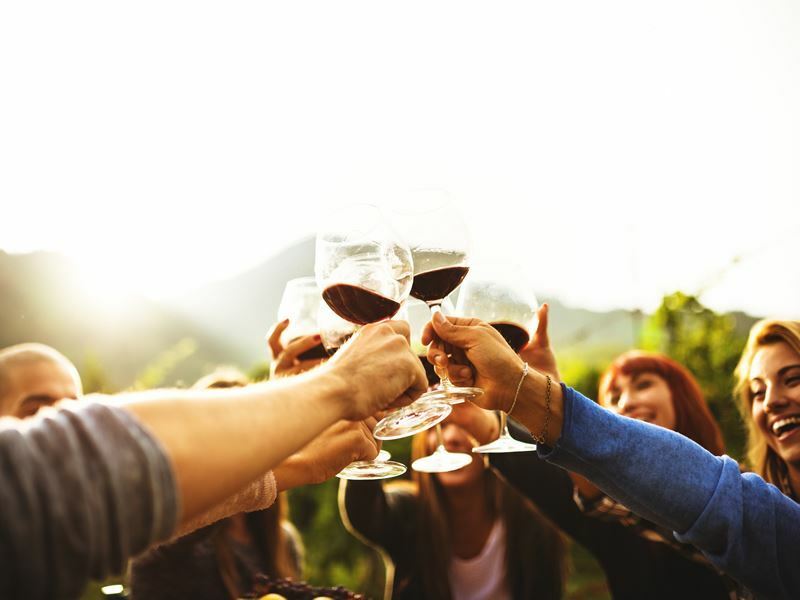 You’ve got the Taste of Solvang food and wine festival in spring, loads of wine festivals throughout summer and the Celebration of Harvest festival in autumn. Although you won’t find much happening in the quiet winter season, cosy tasting rooms with wood-burning fires and soul-warming Merlots provide the perfect retreat from the chilly outdoors. 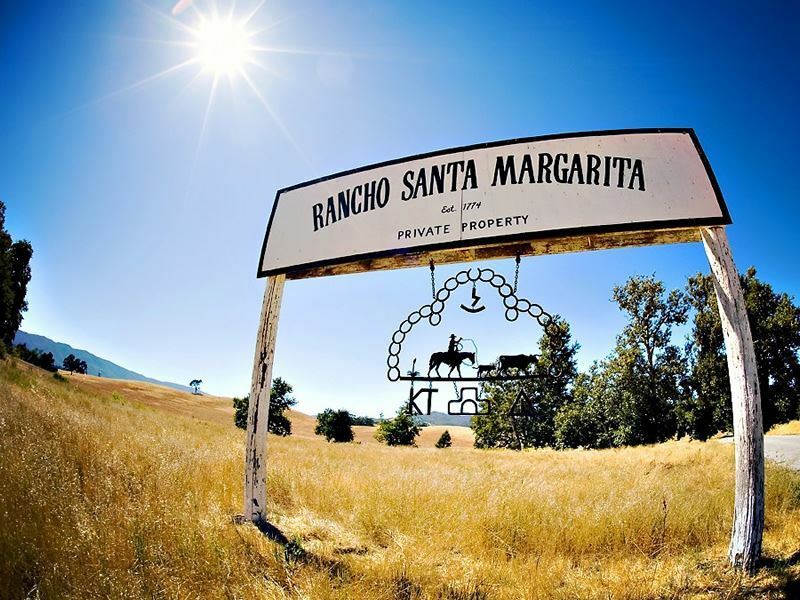 The extraordinarily diverse landscape of Santa Ynez makes it perfect for producing a world of different wines. Close to the Pacific, the cool air and fog gently rolls in at dusk, creating the perfect conditions for Chardonnays and Pinot Noirs – just like in Sonoma. But 30 miles inland in Happy Canyon, the climate is reliably sunny and hot, providing the ideal environment for Bordeaux varieties, such as Merlot and Cab Franc. Rusack Vineyards: A boutique winery and vineyard nestled in the oak-studded hills of Ballard Canyon, Rusack Vineyards create world-class, handcrafted wines which reflect their commitment to excellence and their deep love of California. 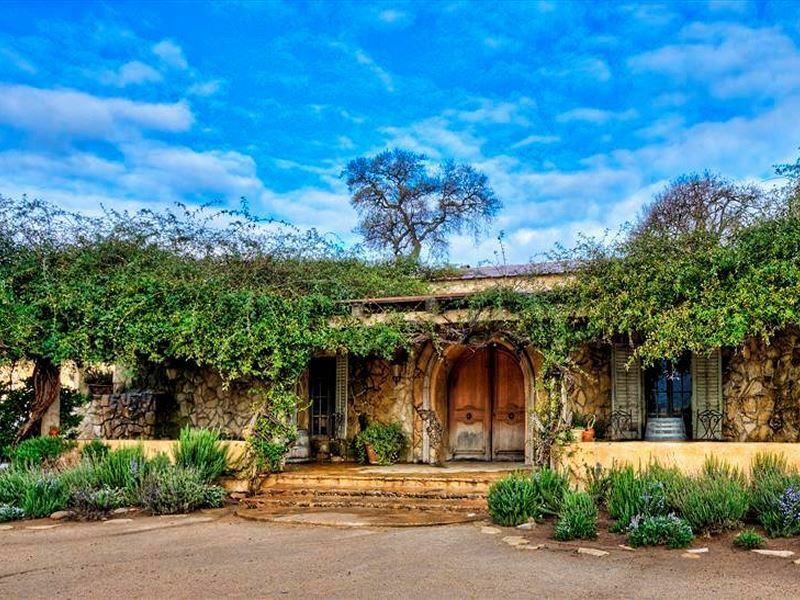 Fess Parker Winery & Vineyard: Loosely designed after an Australian sheep station, this immense winery features a stunning stone fireplace, a wrap-around veranda with picnic tables and beautiful landscaped grounds which border the vineyards. Clos Du Val Winery: Founded by two Frenchmen eager to produce Bordeaux-style wines, this winery focuses on exclusive estate-grown wines and has complete control over every vine and stage of viticulture to guarantee the perfect glass every time. 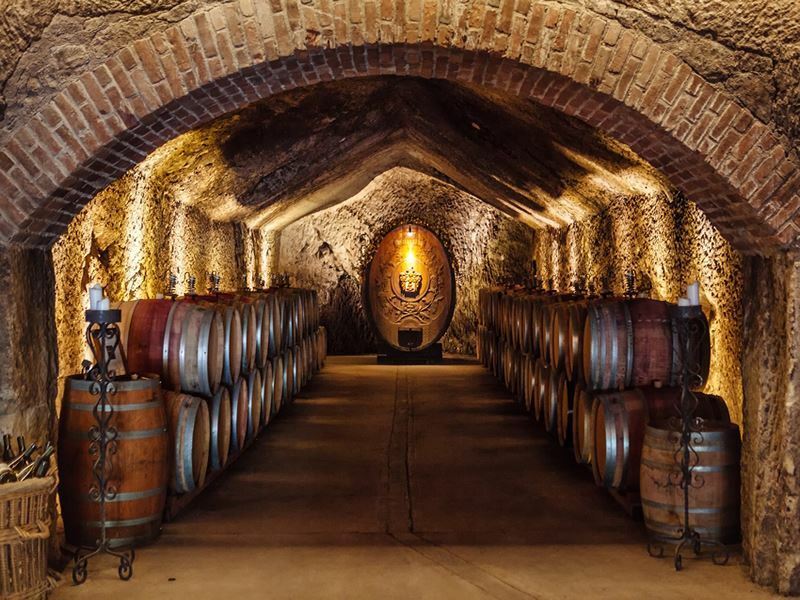 Sunstone Vineyards & Winery: An organic vineyard retreat where Provençal French courtyards, picturesque picnic grounds and stone barrel-aging caves provide the perfect backdrop to sample their incredible wines. Miles of golden coastline, blissful sunny hills and laid-back rustic wineries are just three of the things that make Central Coast an outstanding wine country destination. Add into the mix winding country roads, historic ranches and charming country villages and you’ve got yourself an enchanting location you won’t want to leave. Top level winemakers have transformed the Central Coast into one of California’s premier wine regions, boasting hundreds of fantastic wineries nestled amongst the rolling hills and sun-kissed valleys. Here, Paso Robles is home to more than a staggering 200 wineries and 26,000 acres of gorgeous vineyards, where rural cowboy charm rubs shoulders with contemporary wine country culture. The River Road Wine Trail takes you on a mesmerising journey into the Santa Lucia Highlands, cruising past expansive farmlands as a reminder that it’s more than grapes which are grown in this highly fertile region. Chardonnays dominate the northern parts of Central Coast, closely followed by Pinot Noirs, Merlots and Cabernet Sauvignons. The cool maritime climate, along with the fertile soil make the Chardonnays wonderfully crisp and enhance their citrus flavours, while also helping to produce concentrated Cabernets and Merlots in the extended growing season. Further south Paso Robles has become renowned for their superb Zinfandels, Cabernets and Rhône varieties. Oso Libre Winery: A boutique winery that specialises in highly acclaimed red blends and single varietal wines, this winery-ranch believes in sustainable wine growing and takes great care in producing the highest quality grapes to make their superb wines. 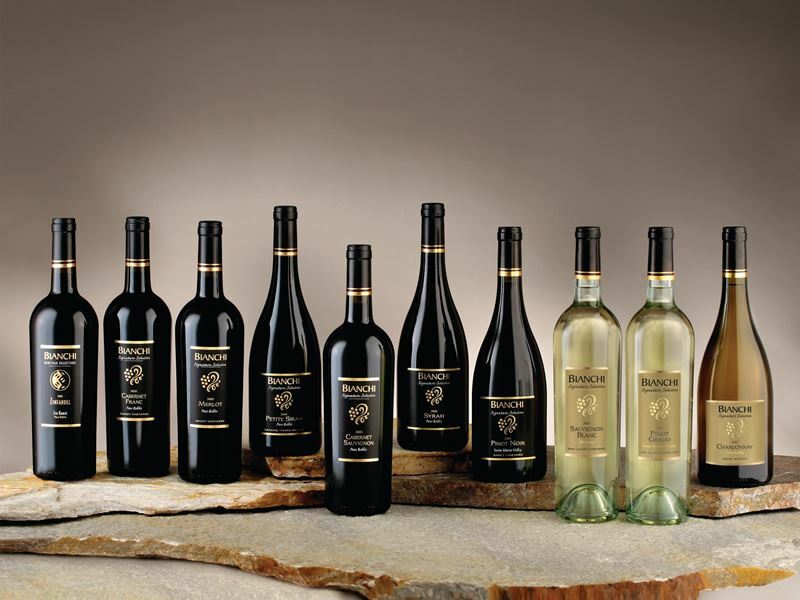 Bianchi Winery: The home of classically elegant wines, Bianchi Winery is the culmination of three generations of one family who’ve worked remarkably hard to produce ultra-premium varietal wines which deliver on both finesse and complexity. Ancient Peaks Winery: Best known for over-delivering in quality, Ancient Peaks Winery is set amid one of California’s coolest growing environments, resulting in exquisite wines with perfectly balanced flavours and structures native to Margarita Vineyard. 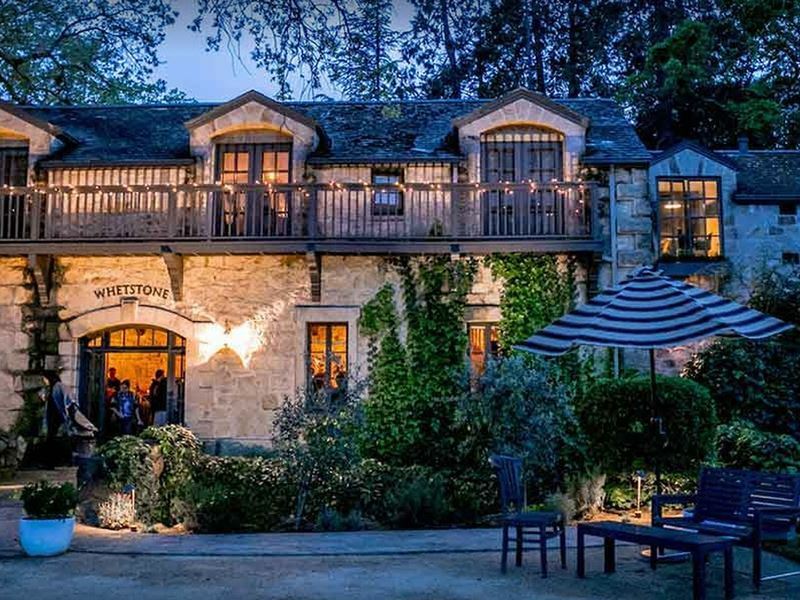 Demetria Estate: Crafting award-winning premium Rhône and Burgundy wines, this colossal estate covers more than 200 acres of lush grounds, including 45 acres of vines, and is easily the most breath-taking place in Santa Barbara County to taste delicious wines. 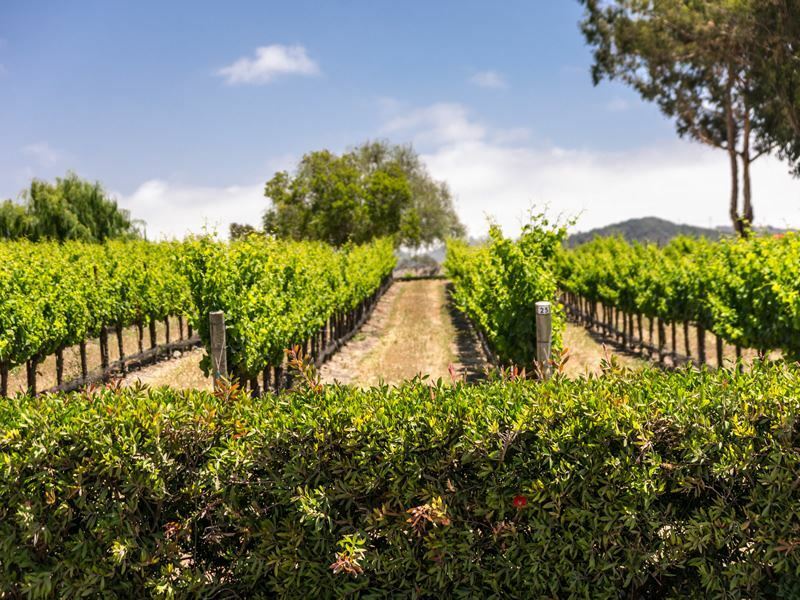 Highly regarded as one of California’s premier wine growing regions, San Luis Obispo (SLO) might not be as well-known as the likes of Napa Valley and Sonoma, but things won’t stay that way for long. This hidden gem is home to quaint cowboy-meets-winemaker towns which date back to the 18th century, where life passes by a little more slowly than elsewhere and everything from catch-up chats with friends to full-bodied glasses of wine is enjoyed and savoured to the fullest. The two most prominent wine growing regions in the area are Edna Valley and Arroyo Grande Valley. Set in the heart of SLO wine country, Edna Valley is the coolest wine-growing region in California, where the remarkably flat land provides visitors with miles upon miles of unobscured views of simply stunning vineyards. 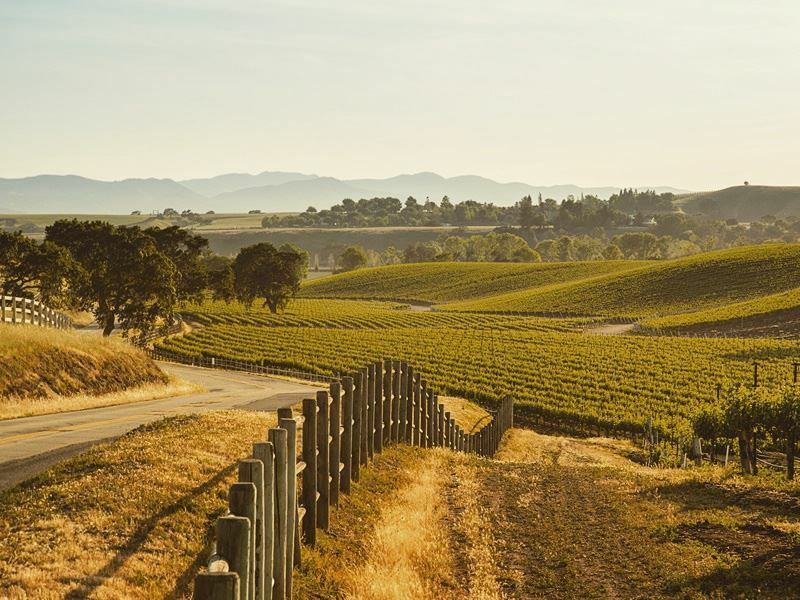 Tucked into a northeast-southwest orientated coastal valley, Arroyo Grande is one of the most temperate viticultural zones in the world, resulting in a long growing season which lasts from February until September. 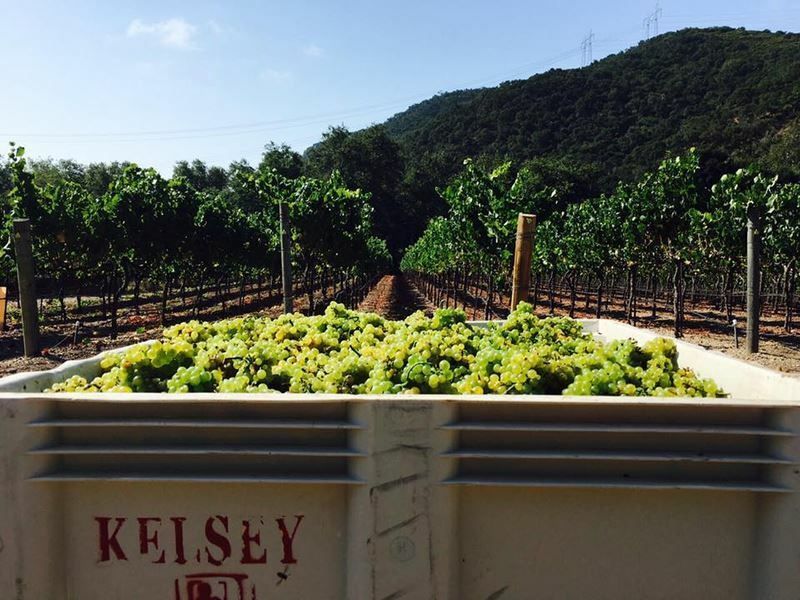 Much of the wine produced in SLO is from Edna Valley, just a few miles away from the coast. Here wonderfully mild days and gentle cool evenings, along with a complex soil profile, help Pinot Noirs and Chardonnays be the best they can be. 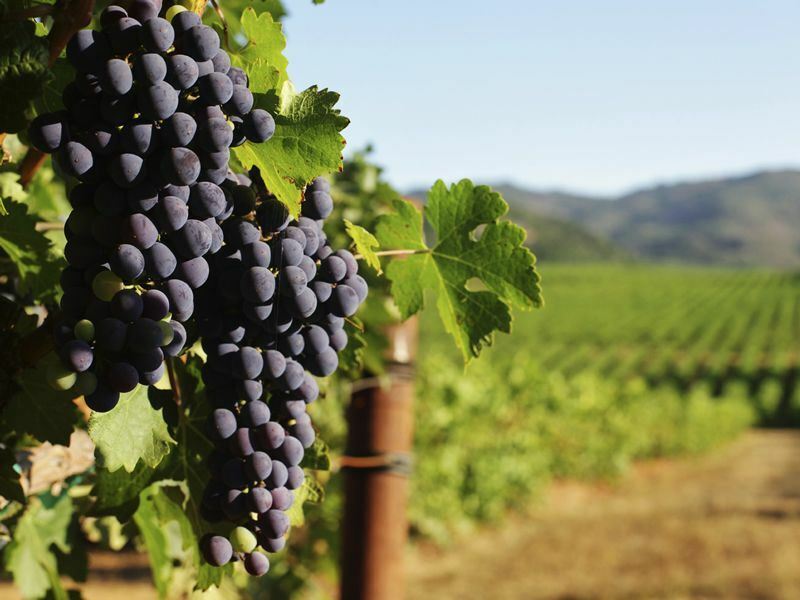 There are around 20 varieties of grapes grown throughout SLO, including a handful of Rhône varieties, as well as Albarino, Pinot Gris and Riesling. Wolff Vineyards: Tucked into the captivating Edna Valley, Wolff Vineyards invites you to soak up their superb panoramic views and revel in their vine-to-wine experience in an Old World atmosphere, surrounded by certified-sustainable vineyards. 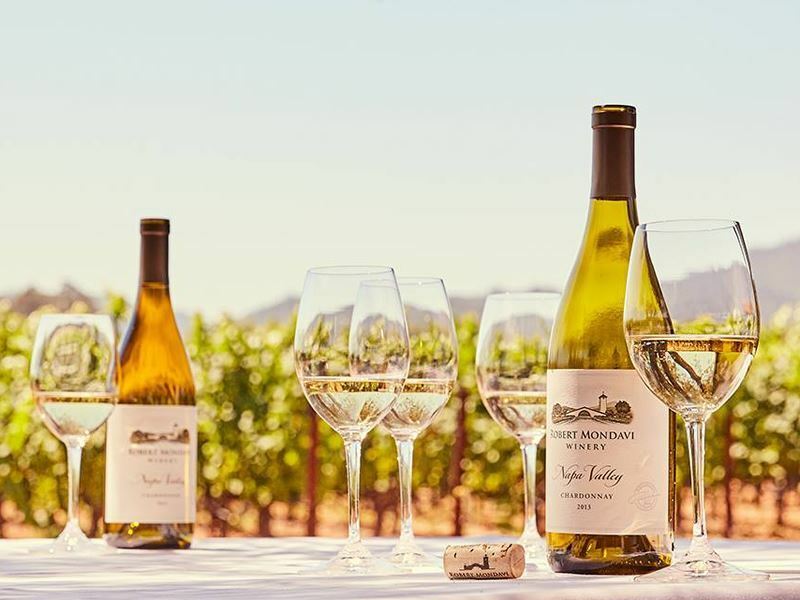 Edna Valley Vineyard: With more than 30 years of experience crafting an exceptional portfolio of food-friendly balanced wines that reflect the character of the region, this vineyard focuses on award-winning Chardonnay – the first grape variety ever planted in Edna Valley. Niven Family Wine Estates: Founded upon sustainability, community, quality and innovation, Niven Family Wine Estates boast cool-climate SIP-certified sustainable vineyards which produce a spectacularly broad spectrum of delectable wines. Kelsey See Canyon Vineyards: A family-run tasting room where you can truly unwind and savour a plethora of award-winning wines, including their one-of-a-kind apple-grape blends and hard cider, while breathing in fresh air and listening to the gentle sounds of the nearby creek.